Organizations are adopting cloud at an exponential speed. According to a report by RightScale, 95% of the companies have adopted cloud globally in some form or the other. The day is not far when the number will be 100%. One software segment that has seen wholesale migration is Enterprise Resources Planning (ERP) systems from the traditional on-premise ERP systems to the new-cloud based ERPs. As per the reports in 2017, 2/3rd of the global markets migrated their on-premise ERP to the new cloud-based ERP as compared to in 2009 when 80% of the companies preferred on-premise hosted ERP. Low Upfront Cost: As compared to the on-premise traditionally hosted ERP’s, the cloud-based ERP systems have a low implementation cost. On-premise ERP required huge implementation cost and more efforts in deployment. In Cloud-based ERP’s systems, there is low implementation cost, as the organizations don’t need to set up hardware, maintain servers or upgrade software. The cloud-based ERPs are based on the monthly flat-fee and there is no upfront cost involved in setting up the infrastructure. According to a survey conducted by Cisco, 50% of enterprises believed that cloud ERP would reduce the operational costs as it facilitates a pay-as-you-go model. 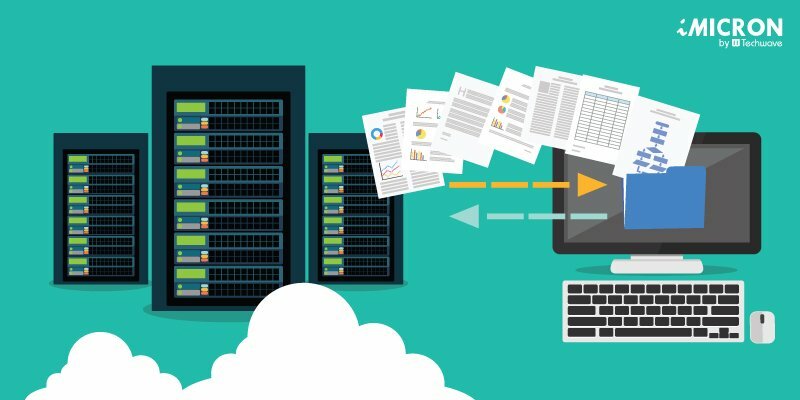 Robust Backup & Disaster Recovery: The main benefits of moving to a cloud-based ERP is the ability to have offsite data backup and recovery plan. This can be either included in your ERP package or can also be an add-on. In case of cloud-based ERP’s the back-up’s can be done with a click of a button. Easy Integration: Integration of your ERP with the new cloud can result in heavy downtime, which will have an impact on the business and customer support. Cloud hosting ERP will let you easily integrate your data. The Cisco survey revealed that 47% of enterprises believed that cloud ERP would help them in the easy integration of the data in their systems with the cloud. Security: Cloud-based ERP systems are more secure than the on-premise ERP systems. With cybersecurity being the main concerns, the cloud-based ERP’s are forward thinking. The new cloud-based ERP systems have advanced authentication standards and data encryption. The cloud service providers offer secured gateways which allow remote access and deploys advanced document management systems to prevent any data threats. In traditional ERP systems, the organization is responsible for the security but in case of cloud-based ERP system, the cloud-based ERP vendor is responsible for the security of the organization’s data. Anytime Anywhere Access: One of the main selling points of cloud-based ERP systems is that they can be accessed from remote locations. This gives mobility and increases the productivity of the employees who are on the go. The cloud-based ERP system has mobile functionality, with interfaces for mobile devices, making it easier for employees to even access it from their mobile devices. Multinational organizations or organizations with multiple geographic locations benefit the most from the cloud-based ERP systems. The main goal of cloud-based ERP is to create more innovative businesses, give flexible ERP technology that can cater to the changing business needs of an organization. Is your organization still hosting its ERP on-premise? Want to move to cloud-based ERP? Click here to fill a form or contact our teams at sales@imiciron.com and our experts will get in touch with you.